WASHINGTON, -- The U.S. Air Force has declared its F-35A Lightning II fighter jet ‘combat ready,’ marking a major milestone for the controversial aircraft. The stealth fighter, which has been beset by cost overruns and delays, has a $110 million price tag. The $379 billion weapon program is the most expensive in America’s military history. Carlisle said that the aircraft had met all key criteria for reaching initial operational capability. Airmen have been trained, manned and equipped “to conduct basic close air support, interdiction and limited suppression/destruction of enemy air defenses in a contested environment with an operational squadron of 12-24 aircraft,” according to the Air Force’s statement. All the necessary logistical and operational elements are also in place, and the F-35A has the ability to deploy and conduct operational missions harnessing the program’s weapons and missions systems, the statement explained. The 34th Fighter Squadron of the 388th Fighter Wing, based at Hill Air Force Base, Utah, is the first operational F-35A squadron. The squadron completed a successful June deployment to Mountain Home AFB in Idaho and a series of eight-aircraft sorties last month, the Air Force said. 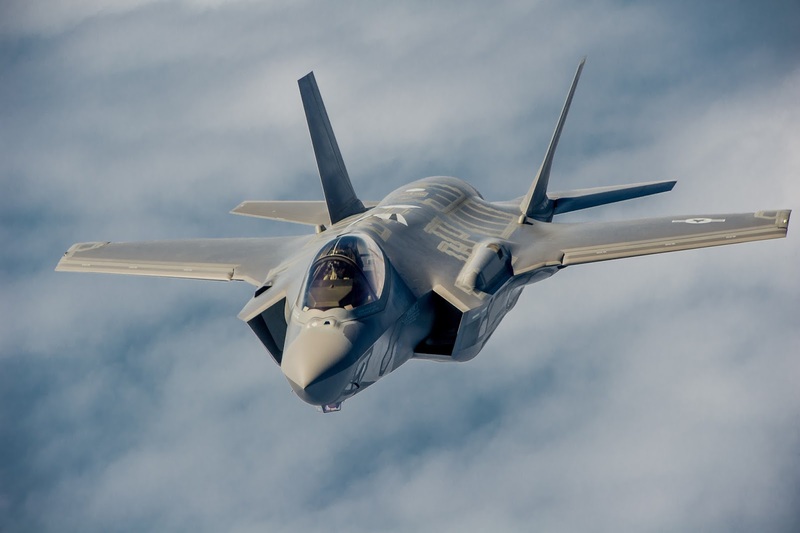 Critics have also highlighted technical issues with the F-35’s Autonomic Logistic Information System, or ALIS, the so-called “brain” of the aircraft that controls its operations, maintenance, scheduling and supply chain management. With the Air Force’s announcement of combat readiness, the Pentagon will be eager to open a new chapter for the F-35 showcasing its capabilities such as sophisticated sensor technology that enhances pilots’ view of the battlefield. Developed by Lockheed Martin, three variants of the F-35 Lightning II will eventually replace legacy fighters for the U.S. Air Force, Navy and Marine Corps. The United States Air Force Lockheed Martin F-35A Lightning II Stealth multirole fighter moving into position to refuel.